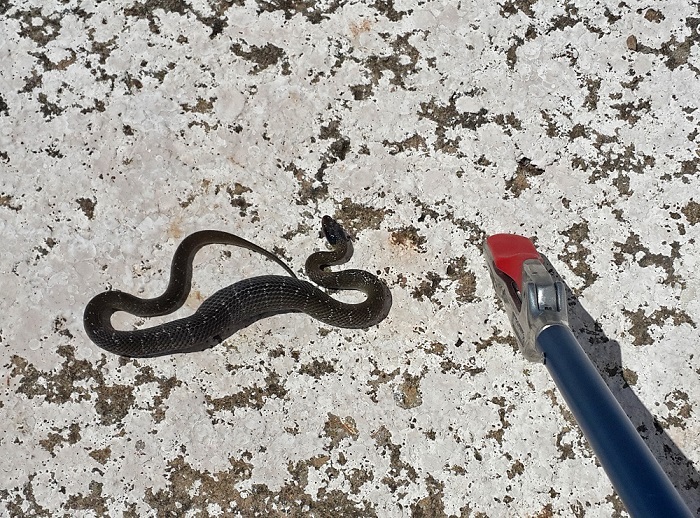 Here you can see why they call it the Red-lipped snake (Crotaphopeltis hotamboeia). 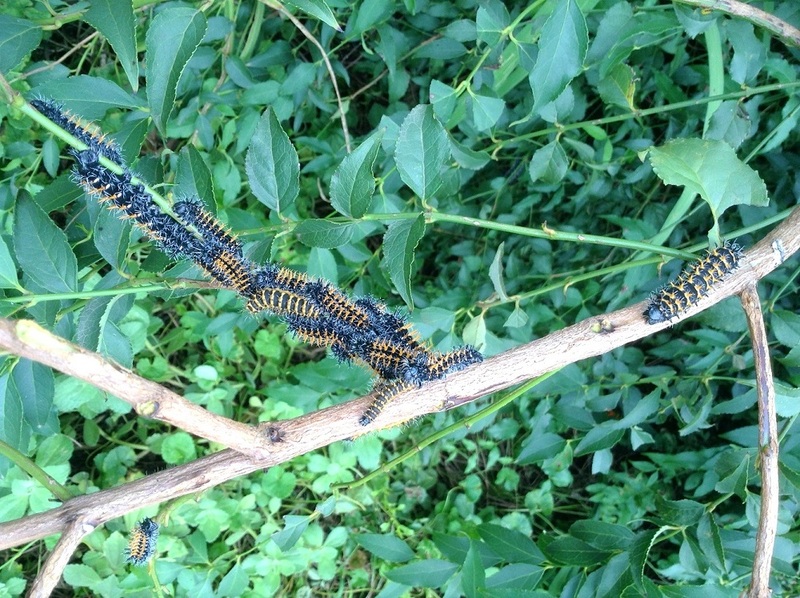 All our Haleria bushes are inundated with these caterpillars. Presumably they are butterfly larvae but I don’t know which. Perhaps someone can help. Caterpillar of an Emperor moth. Most birds won’t eat hairy or bristly caterpillars, except for cuckoos and blackheaded Orioles. Our garden is full of cuckoos, Diedericks, Klaas’s and a Jacobin who visit us every year at this time, all feasting on these caterpillars, and those on the Kigelaria too. 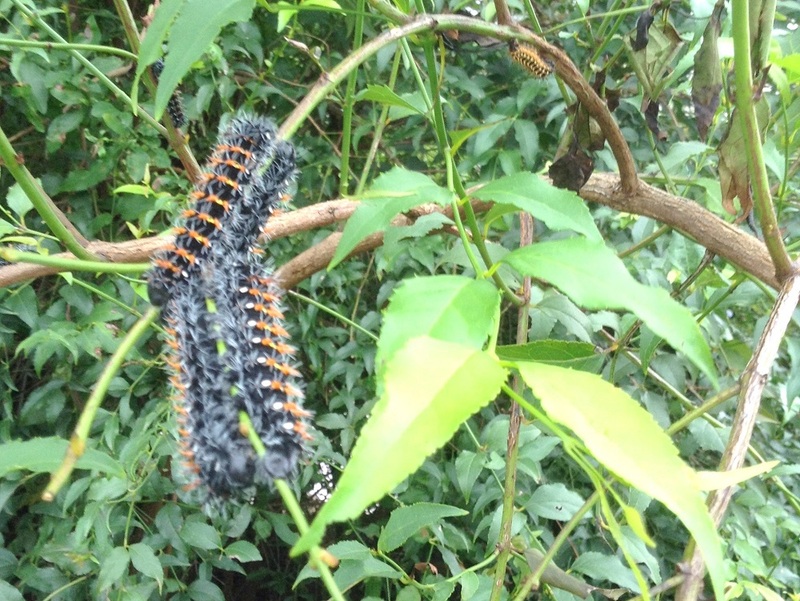 Dr Jason Londt, an expert in creepy crawlies identified these caterpillars in April 2014 as those from an Emperor moth. 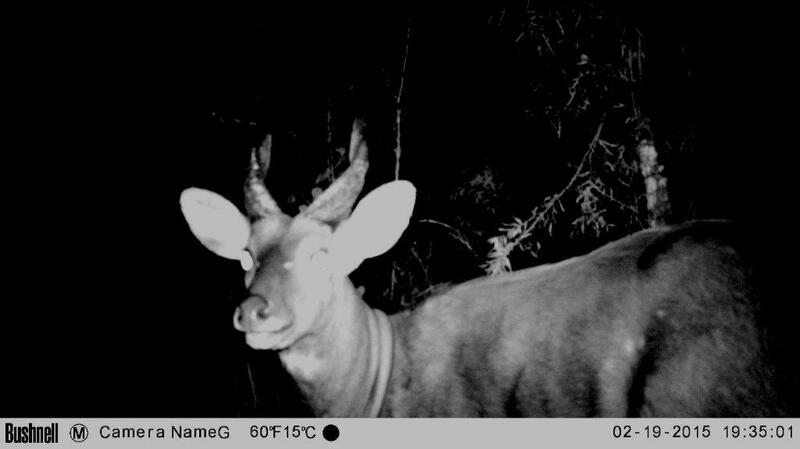 These images were captured by the Dargle Conservancy Trophy Camera which Brian and Marashene Lewis had set up on their property. 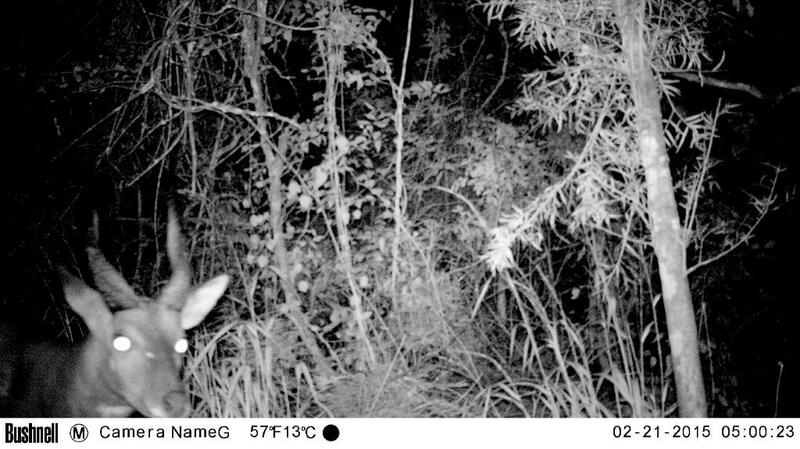 These images were just too late for last month’s Wildlife Sightings so they were included in March! 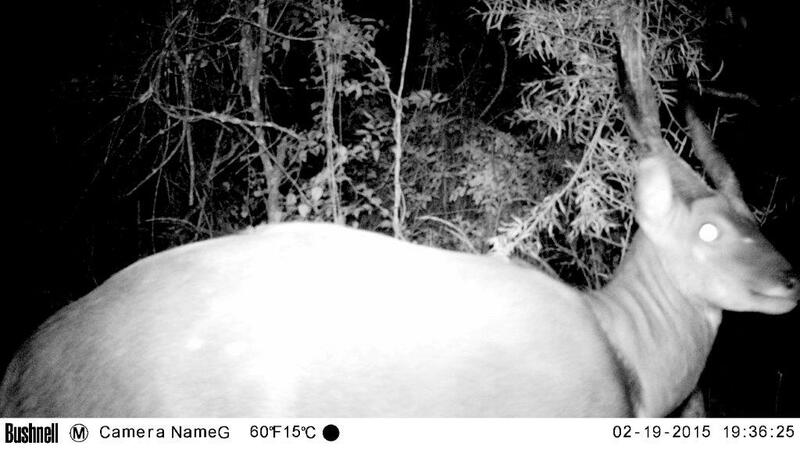 Enjoy the Bushbuck “selfies”. Coccinia hirsuta – wild cucumber – has grown prolifically this summer. Tendrils creeping through my windows, covering paths and climbing every tree and shrub. 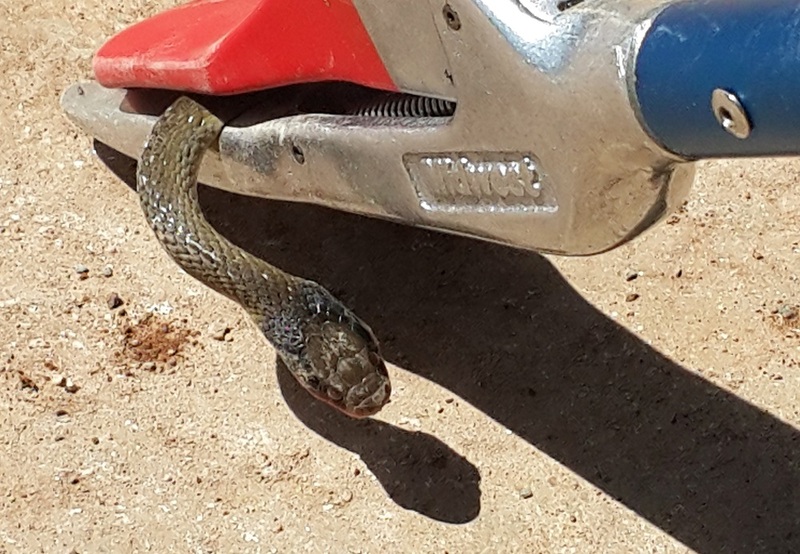 Clearly it likes the current climatic conditions. 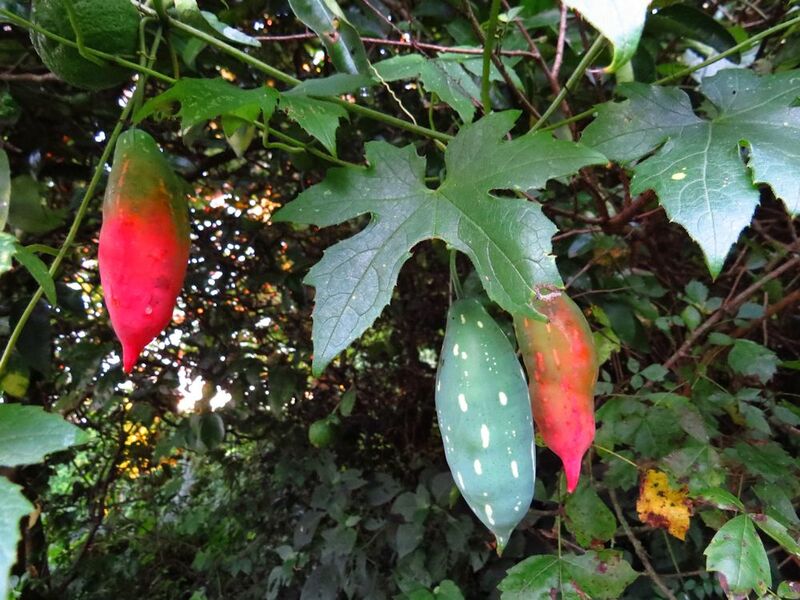 The cucumber-like fruit is an attractive bright orange-red fading to green at the stem end. 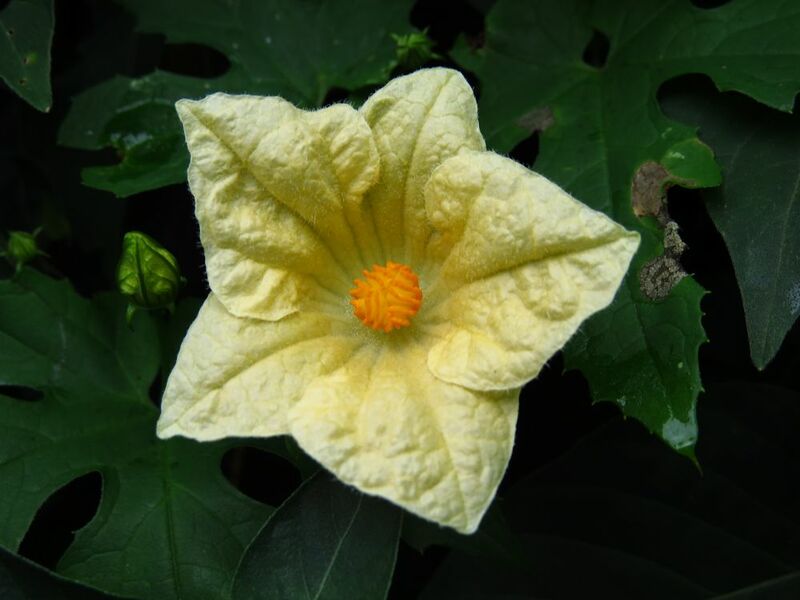 It has creamy yellow flowers – the male flower is borne on a long stem, while the female has a short stem. The soft leaves are slightly hairy, deeply lobed and can be cooked and eaten as spinach. 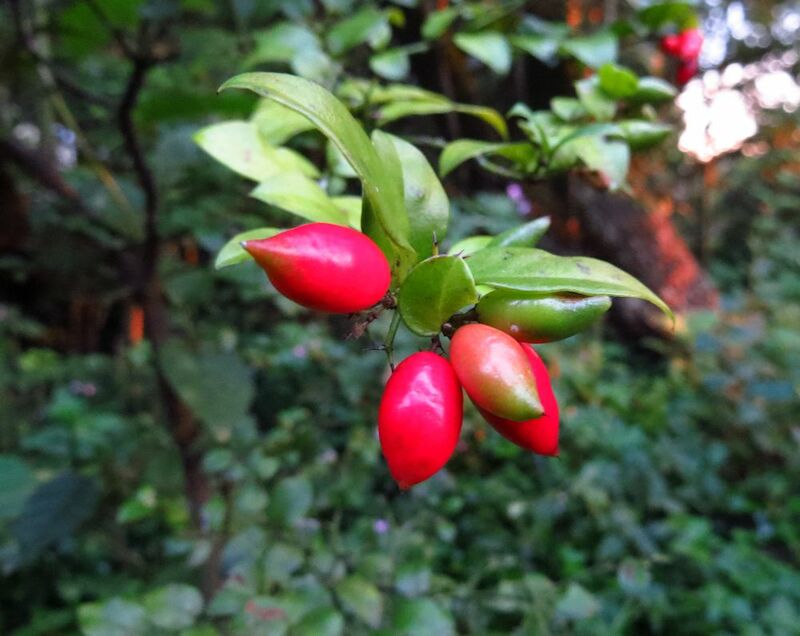 In the forest, Carissa bispinosa (Forest num-num, umVusankunzi) is fruiting at the moment. The small red fruits are edible and delicious and make good jams and jellies (if you can collect enough!). 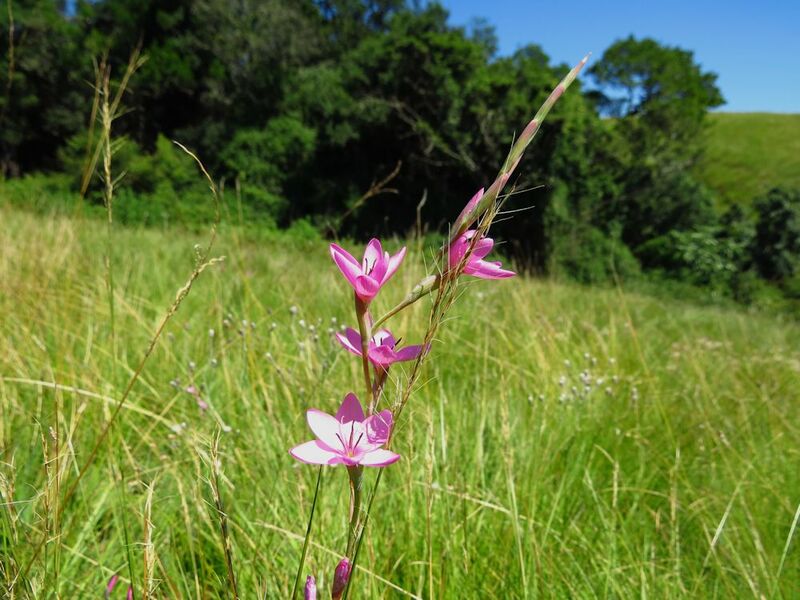 Bright pink Hesperantha baurii is still flowering in the grassland on sunny days (the flowers open in sunlight). 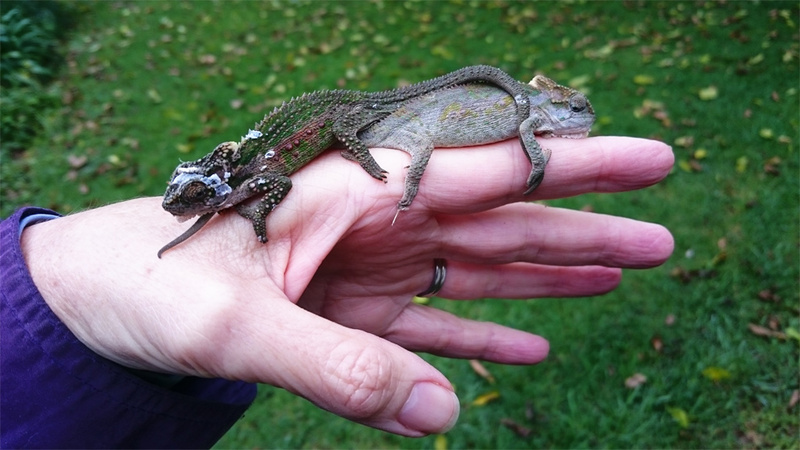 These Chameleons were clinging to a security gate for some reason. 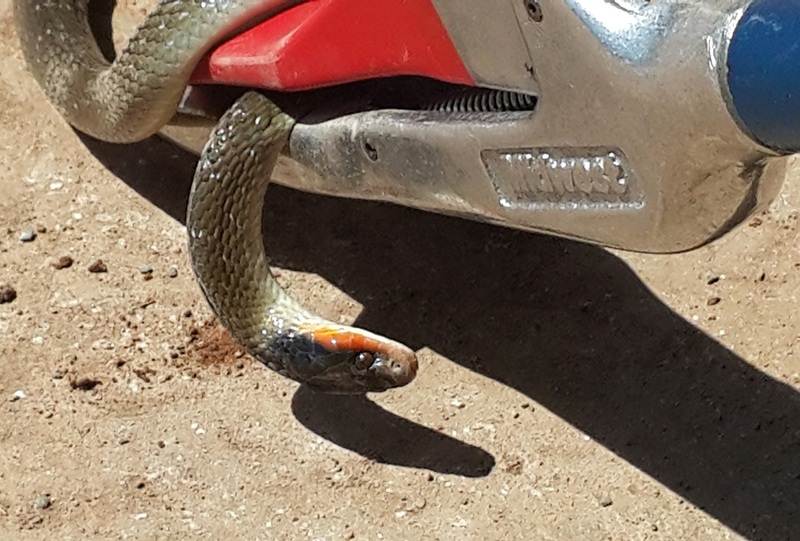 About to open the gate, Rose saw the one, and put him on her hand. Opening the gate, the other one, who must have been higher up, fell to the ground. Fascinating colours… possibly male and female? 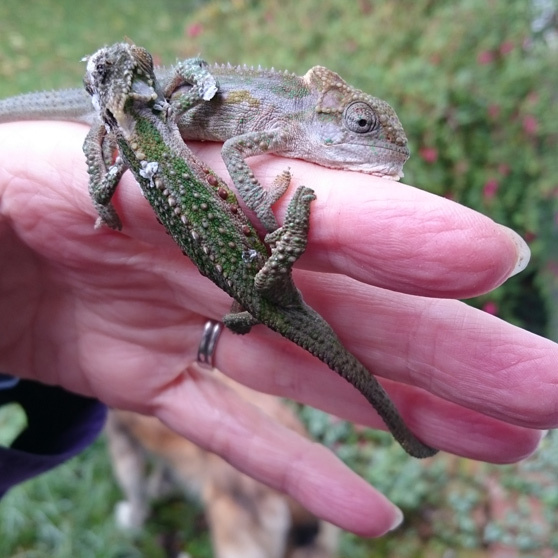 Midlands Dwarf Chameleon – Male and Female? The colourful one appears to just be finishing off shedding. Apart from these two, we haven’t seen much to get excited about this month. 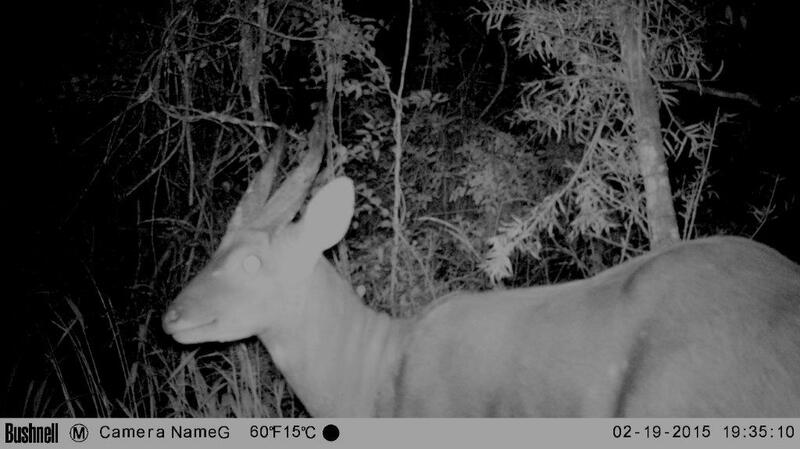 This entry was posted in KZN Midlands Wildlife and tagged bushbuck, caterpillars, dargle, dwarf chameleon, snakes, trail camera, wildflowers on April 15, 2015 by Midlands Conservancies Forum. We loved the chameleon photos! 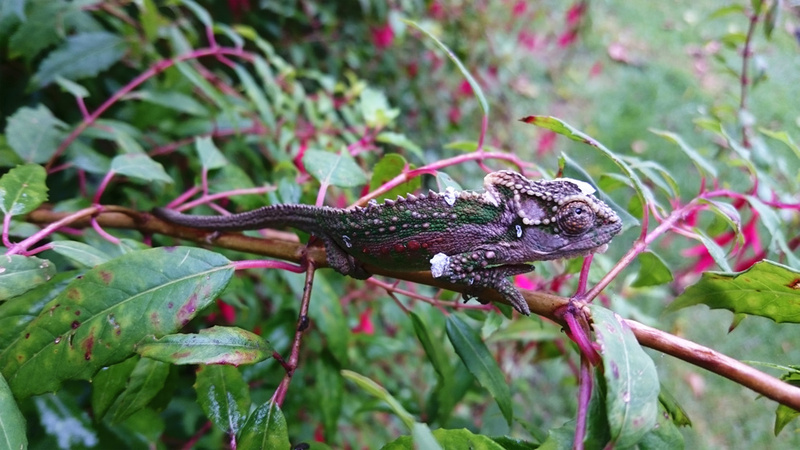 Eight interesting topics – especially the chameleons!